Condominiums along the waterfront in Toronto, between the Humber River and Humber Bay Park East. "The higher up balconies are situated," observes Ted Kesik, a building-science expert at the University of Toronto, "the less they are used, since high-wind speeds combined with large heights can be unsettling for many people." For builders, however, balconies pose a complicated riddle, subject to a tangle of considerations that encompass municipal planning and energy efficiency regulations, market-specific consumer expectations about floor space, and condo corporation rules. Increasingly, though, they're also being pressed into service as a means of creating an aesthetic signature for very tall buildings, such as One Bloor East or Five St. Joseph, a 48-storey tower by Graywood Developments and MOD Developments and designed by Hariri Pontarini. "The balconies go beyond outdoor living space," MOD chief executive Gary Switzer says. "They become part of the sculptural shape of the building." He attributes this shift to the legacy of the complex designs by conceived by "starchitects" such as Frank Gehry and Daniel Liebeskind. For high-rise condos, undulating buildings are now technically possible but very expensive if the floor plans for each unit are different. 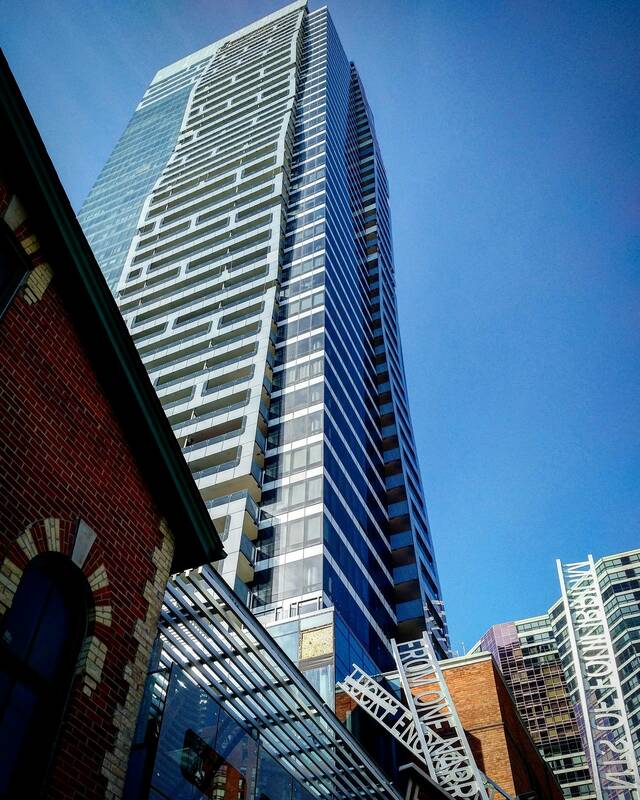 The workaround, Mr. Switzer says, is to use the balconies to create curves and use geometrically interesting shapes to break up towering vertical glass planes on tall towers. One of the most sensuous examples, says Andre D'Elia, a principal at Superkul, is Studio Gang's Chicago's Aqua Tower, which is clad in a cascading sequence of asymmetrical fins that project from the façade. They have a social objective as well as an aesthetic one, he adds: They've been configured to allow residents to interact with one another from their balconies. "It's a noble idea." Mid-rise builders, meanwhile, are increasingly looking to create inset balconies instead of protruding ones that offer little more than a few square feet of outdoor space. They make sense because they provide more protection from the elements, says Streetcar's development manager David Stevenson, citing examples such as The Southwood, a 45-unit project in the Upper Beach. Mr. Switzer agrees that such balconies can create a clean look as compared to exterior planes broken up by small concrete slabs with glass railings, and MOD, in fact, has incorporated these into its WaterWorks project on Richmond Street. But, he cautions, they can be shadowy, and thus less desirable. MOD incorporated inset balconies into its WaterWorks project on Richmond Street. Prof. Kesik, however, notes that in many Nordic cities, inset balconies are used in combination with retractable enclosures, such as those designed by Lumon. "They extend the period of comfortable use by inhabitants and provide shelter from the wind and rain, converting desolate spaces into outdoor rooms." Toronto's preoccupation with balconies dates to planning rules enacted in the 1950s and 1960s, says Mr. Switzer, who points out that in some markets, such as New York, apartment purchasers don't expect balconies because they've not been proscribed by the municipality. Here, he says, conventional wisdom is that consumers demand balconies, even ones unlikely to be used as outdoor living space because they are either too small or too high. In New York, Mr. Switzer continues, the distinctive built form of the upper east and west sides has been shaped by rules proscribing angular planes to prevent the city streets from becoming permanently shaded canyons. Those planning policies created a legacy of private outdoor terraces, as have similar rules in Toronto that require developers to create a step-back angular plane on mid-rise buildings that back onto residential neighbourhoods. In Toronto, the gradual move since the 1980s from slab apartments to narrow point towers meant that balconies became shorter as newer condo floor plans tended to have narrow external walls. Mr. Stevenson says balconies are today treated as part of a building's mandated overall outdoor space, but can't extend over its footprint, which means that the size question becomes a zero-sum game: Larger balconies means less floor space. "It's tough because you're trying to make the unit as big as possible." Yet both Mr. Stevenson and Mr. Switzer say that growing consumer demand for larger two and three bedroom units has pushed developers and their architects to look for better alternatives to utilitarian slabs of concrete that are merely six feet deep. 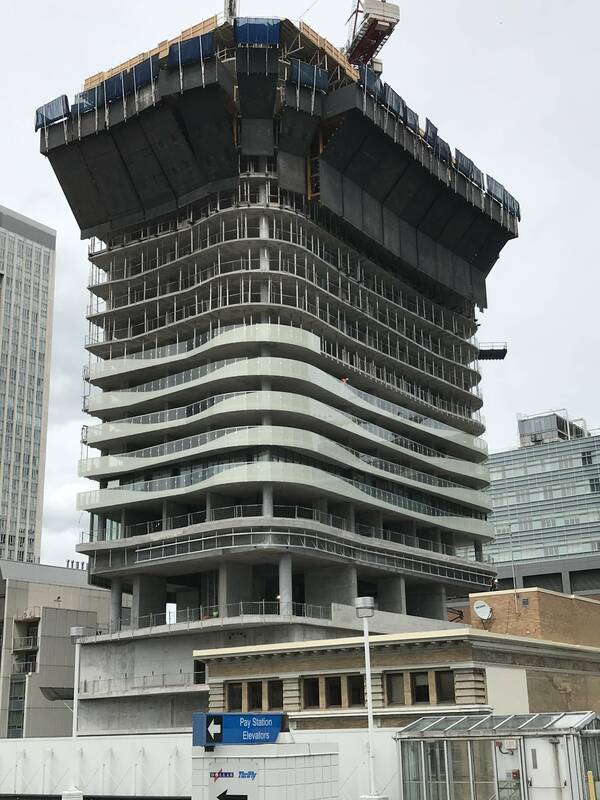 These include some configurations that were more commonplace a generation ago, such as the wrap-around balconies on some of the two-bedroom units on MOD's new Massey Tower. With the space those configurations provide, Mr. Switzer says, "You're getting true outdoor living space."